When you’re first starting out as a small business owner, it can be easy to blur the lines between your business and personal finances. But for both legal and financial reasons, your business should be treated as its own entity. As part of that, your business and personal finances should be kept separate. As a business owner, establishing your business’ structure is critical for legal protections. Whether you decide to operate as a limited liability company (LLC) or a corporation, your business’s legal structure determines your risk, liability, and tax responsibility. One of the main reasons business owners set up an LLC or corporation is to protect their personal assets. However, even with that legal protection in place, if a client brings legal action against you and the court can’t clearly delineate between your business and personal finances, you may be held personally liable for business debts. Because of this, it’s imperative to separate your business and personal finances. If your business and personal finances aren’t separate, your legal protections aren’t in effect and the court can “pierce the corporate veil,” meaning your personal assets can be fair game for seizure. When this happens, creditors may go after your personal bank account, investments, home, or other assets to collect on unpaid business debts. To avoid this scenario, you should maintain a separate business bank account and not use it for personal expenses. Similarly, you should never deposit checks payable to the company into your personal account. By maintaining this formal legal separation between your business and personal accounts, you can safeguard your personal assets. If your business and personal finances are commingled, you could run into trouble come tax time. While the Internal Revenue Service (IRS) allows you to deduct business expenses such as travel and office supplies, if you make those purchases with your personal account, it can be harder (and take longer) for your accountant to verify them, resulting in higher accounting fees. Not only that, but if your business is audited by the IRS, they’ll need to verify the business expenses you’re claiming. If your finances aren’t separate, chances are they’ll audit both your business and personal records, and they’ll have a harder time validating business expenses. Initially, it may seem like a pain to set up a separate business checking account, but it can save you time and headaches in the future. 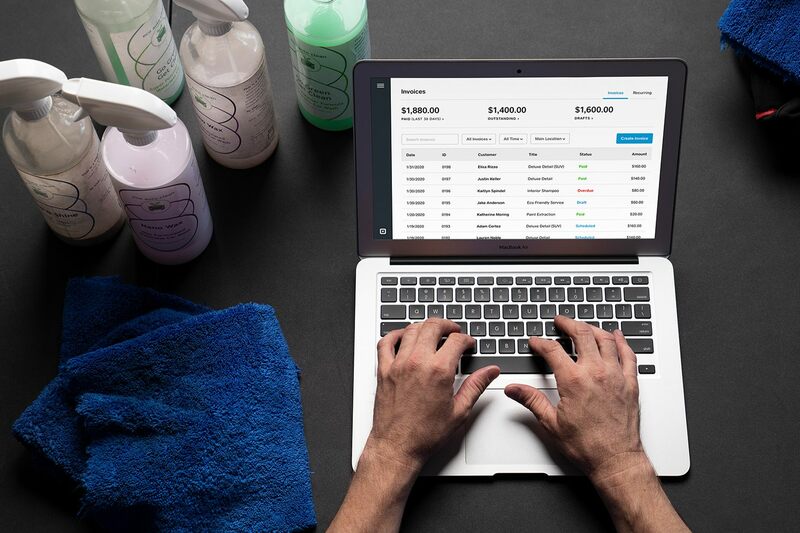 By having an account dedicated to your business, you have a clearer picture of your business cash flow, and you can track expenses more easily (rather than having to dig through your personal account to decipher business-related transactions). To make your bookkeeping even easier, it’s worth looking into accounting software to track and reconcile your business expenses. Square partner [QuickBooks](survey) can connect to your business checking account so all transactions are automatically imported and categorized. While your business might not be at a point where a loan is necessary, it’s possible you’ll need to apply for one as your business grows. When that time comes, lenders will need to evaluate your business and personal finances. However, if those accounts aren’t separate, lenders may have a hard time getting an accurate read on your company’s financial status and therefore your ability to pay back a loan. Of course there are obvious legal and financial benefits to separating your business and personal finances, but on top of those, having a clearer picture of your company’s financial state can bring you peace of mind. When your finances are separate, your bookkeeping is clean and you have a better idea of where you stand. Having a clear picture of your finances also helps to ensure you don’t run into surprises once tax time rolls around. If you haven’t already separated your finances, you may be wondering where to start. Here’s a list of key steps you can take to officially establish your business as a separate legal entity (finances and all).